Its worth noting that the National Party, supposedly the flag bearer for private enterprise in NZ, chose a public servant as their candidate in the Northland by-election. The only two with a chance out of the 11 candidates are Winston Peters of NZ First, who has lately decided to throw his hat in, and the Nat candidate Mark Osborne. Labour’s Willow-Jean Prime has virtually no chance. John Key has done a rapid reversal on his earlier prediction that Peters had “zero” chance of wresting the true-blue seat off National. A recent poll showed Peters (35%) leading, Mark Osborne (30%). Key said today that National had “a big job to do” in Northland. Key will campaign in Northland tomorrow, and said he would make at least three visits to the electorate. “That’s a bit more than I normally would in a by-election,” he said. National have badly underestimated ill feeling towards the party in Northland. Key’s overall complacency towards Conservatives across the country is one reason. Another is the perception (right or wrong) that the Nats have taken Northland pretty much for granted. Yet another possible reason is the perception the electorate might have that they were duped into voting for the Nat candidate at the last election. They might feel they were purposefully not told by the Nats of serious allegations against Mike Sabin. Allegations that they feel came to light just too soon after the election for it to be a coincidence. On top of that again are suspicions Mark Osborne in his then role of electorate treasurer, played a part in that perceived deceit. None of this would encourage them to vote for National again. A loss in the by-election would leave National with only 59 seats in the 121 seat parliament and therefore at the mercy of The Maori Party and or ex-Labour Party Peter Dunne, now a one man band as United Future. There are two points about the by-election I think are interesting. Labour made a major mistake running a candidate at all once Peters declared. Labour’s withdrawal would have made a win by Peters much more likely. With Willow-Jean in the race and slitting the anti-National vote, it improves Nationals chances. However the real issue for Labour now is that if Winston takes all of the vote from Labour, it won’t look that good for Andrew Little’s leadership. National strategists too have been shown up. In the last election Nats should have been far friendlier to the Conservative Party. With a few more votes, the Conservatives could have brought National a much stronger coalition. Now they pay the price of John Key’s arrogance and his innate Progressive aversion to the Conservative Party. “It’s like Winston’s greatest hits tour. It’s like sort of John Rowles or Tom Jones going round one more time,” said Mr Joyce derisively when Peters announced his candidacy. A lot of people in Northland like John Rowles and Tom Jones Steven. They’re not at all like your average Wellington beltway hipster. UPDATE: Mark Osborne in a not so good radio interview with Sean Plunket. 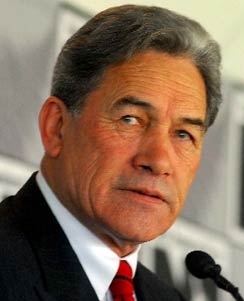 Labour should have left Peters to it, it is not to late to admit a mistake and correct it. Rather than look even sillier, when the supporters run with Peters. If Labour was to win who would lose their list seat. National was probably afraid that the Conservatives could have done to them, what the Greens did to Labour. 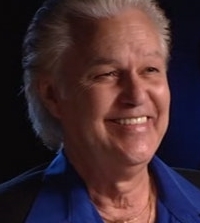 Unlike Joyce, John Rowles and Tom Jones are still performing. A lot will depend on when certain National people knew that Sabin was being investigated and also what he is being investigated for. I have heard different rumours. If the worst are true this is going to be very embarrassing for National and not just in Northland. There was a court case about some prominent person and even where the court was was suppressed. I have never heard of a suppression order like that. I thought at first maybe it was alleged he smacked his wife but I tend to think it could be more serious with such a suppression order. Hopefully we will find out soon. I watched the results of the TV1 poll on Q & A this morning as well as listened carefully to Andrew Little when he responded to who he recomended which candidate the voters should vote for. If all the Labour voters are not stupid most should know he wants them to vote for Winston. I just placed a few dollars on ipredict accordingly. I can’t think of why Labour persisted with running a candidate once Winston announced. If Osborne wins it will be down to Little. If the vote for Prime is low, it looks bad for Little. No win situation. He must still be relying on that idiot Matt McCarten for strategy advice. If so he’s a bigger fool than I even thought. Red, Winston was late deciding to run. Labour had their candidate declared. I would have to look up the Electorial Act but I think it was legally to late to pull their candidate. Little give a pretty strong message how he wanted Labour supporters to vote. If you check out iPredict you will see he has a strong chance of winning the seat. I think the cut off date for withdrawal was only a week or so ago Chuck. Andy still had time if he’d had the initiative and the foresight. Red, I checked and you are quite right on the law. However, I beleive Andy did exacltly the right thing and iPredict confirms it. He has given a very strong hist how he want Labour supporter to vote and the new tonight made it even more clear. Winston and most in his party will be the only conservative voices in Parliament not beholden to John Key. CCCP is history so I hope Colin does the right thing and winds the party up. That will help NZF be the third largest party in Parliament. Good on you Winston. You’re a real trooper. Just like John Rowles and Tom Jones. I like the comparison.